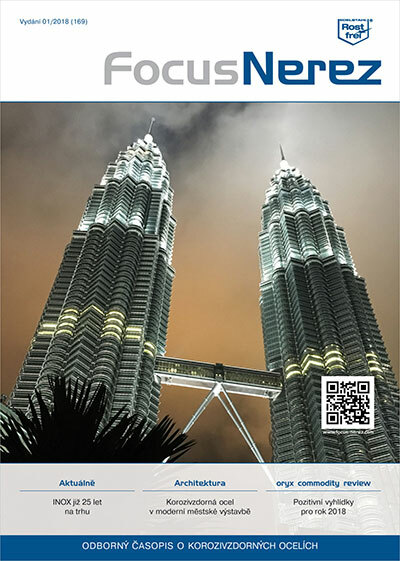 FocusNerez is the only specialist trade journal published in Czech, and which covers all aspects of the market for stainless, acid and heat resistant steels. Close relations with relevant associations and organisations involved in the sector (in some cases with involvement on the boards of those associations and organisations), as well as extraordinarily close contact with market participants, guarantee information from well-informed sources. FocusNerez is published every two months with a circulation of 3,000 copies. Would you like to promote your company in FocusNerez? We would be happy to provide you with a personalised quote for your campaign.